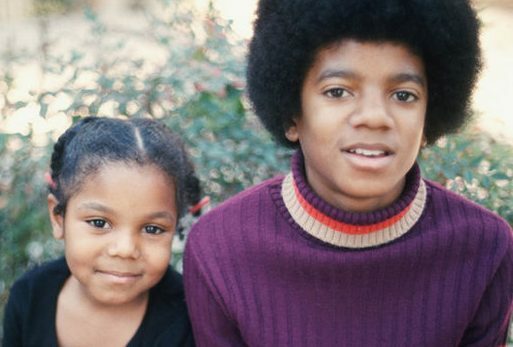 Janet posts a video message with the song “The Great Forever” to denie rumors that she has a throat cancer. She reveals her doctors have approved her concerts to resume on March 30 in Europe. -January 14 : “Hey you guys, I’m happy to let you know all the shows have been rescheduled. I can’t wait to see you! Xoxo”. -February 04 : “Hey you guys, thanks for 30 years of love for Control! I’m in Europe getting ready for #Unbreakable to start back up. See you soon! Xoxo”. #Control30. Janet is in London where she is training and rehearsing with Tony Martinez and Whyley Yoshimura at the Pineapple Dance Studios in Convent Garden. -February 09 : “Hey you guys, I am preparing for my tour in Europe… Can’t wait to see you”. -February 10 : Janet is spotted shopping in London with Wissam & Joey. -February 12 : “Took a break from tour prep to attend 10th Anniversary of Lazarides Gallery n London with my sweetie… See you soon”. -February 13 : Janet posts a quick video message from London. 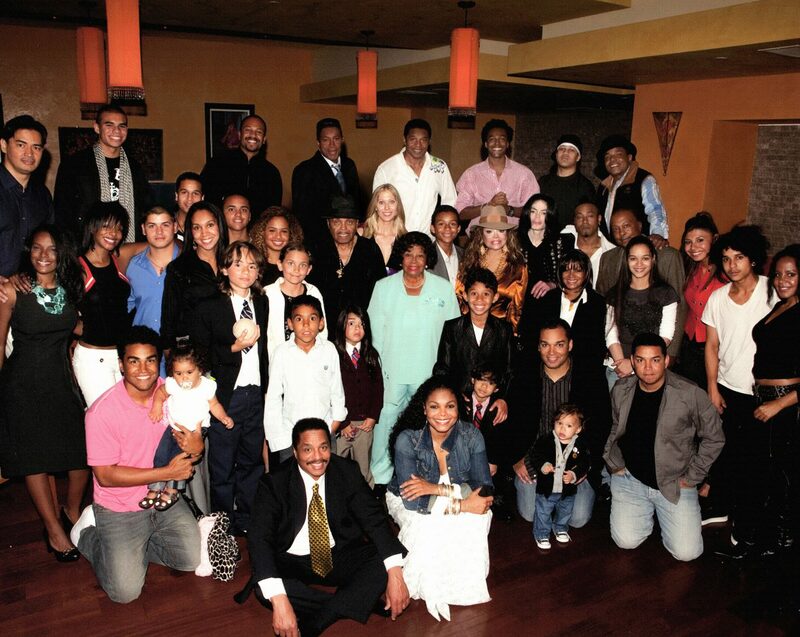 In L.A, Prince celebrates his 19th birthday with family and friends. -February 16 : Rolling Stone posts a video of Janet during the recording of Unbreakable with Terry Lewis & Jimmy Jam. -February 16 : Many family members attend Jourdynn’s wedding to Marike Le Roux in Malibu. –February 21 : Bigi celebrates his 14th birthday with family and friends. -February 22 : Janet posts a lyric video of “The Great Forever” on her You Tube channel. She announces that she will perform at the Dubai World Cup on March 26. -February 24 : Janet is spotted in London with her personal trainer Tony Martinez. -March 05 : Janet attends the Haider Ackerman Fashion Show in Paris and later she visits Hermes. She posts a video message for her upcomung performance in Dubai. -March 06 : In L.A, Gil starts rehearsing with the J Tribe. -March 08 : Ticketmaster announces that the whole european leg of the Unbreakable Tour is postponed! The performance in Dubai will go as planned. Janet & Gil do not react officially. -March 09 : Janet & Wissam are spotted arriving in L.A.
-March 10 : “You’re missing me, I’m missing you… I’ll be rescheduling our Unbreakable shows in Europe as soon as I can. Xoxo”. -March 11 : In L.A, Janet shoots the video for “Dammn Baby” directed by Dave Meyers with her whole team (Robert Behar, Preston, Jimmy, Tony, Joey, Gil, Whyley, Luther Brown etc…). -March 19 : Preston & Cassandra fly to Dubai to join Janet. “Hey you guys, we’ve taken #Unbreakable to North America & Japan. Next stop #DubaiWorldCup16! http://www.meydan.ae “. -March 23/24/25 : Janet & the JTribe rehearse for their upcoming performance in Dubai. -March 26 : Janet performs a full “Unbreakable”concert for the the closing of the Dubai World Cup horce racing series. Her brother Randy is the only family member who attends. -March 27 : Janet unveils her “Unbreakable” jewelry line during à private event at the Armani Hotel in Dubai with Preston. -Late March : Janet makes a photoshoot for an upcoming cover of Emirates Woman magazine with her whole team (Preston, Robert, Janet). -March 29 : Paris posts a selfie of Grace Rwaramba & her on her social medias. -April 03 : Paris celebrates her 18th birthday with her new boyfriend Michael. -April 9 : Janet Jackson’s Unbreakable World Tour Postponed Until 2017 Tickets Will Be Honored, Refunds Available. -April 29 : Janet posts a gif from her upcoming “Dammn Baby” music video as a teaser. -April 30 : Janet posts the lyric video for “Dammn Baby”. -May 05 : After a week of gif teasers on her social medias, Janet finally reveals the video for “Dammn Baby” on her You Tube page. Several websites posts Behind The Scenes videos on the set of “Dammn Baby” including Entertainment Tonight, Billboard, AP Entertainment, Rolling Stone and Live Nation. Multiple reports claim that Janet is pregnant with her first child even though she does not make any comment. -May 6 : « The estate of Michael Jackson could not be clearer — the deed that was recorded giving Katherine Jackson ownership of the family’s Encino estate is bogus to the core. Attorney Howard Weitzman is scoffing at the deed TMZ first told you about … filed by Katherine which gives her 25% ownership in the home, and each of MJ’s 3 kids 25% as well. As we reported, although Katherine signed a document attached to the deed, she may not be the mastermind, but Weitzman vows to hunt down the culprit. -May 16 : Janet celebrates her 50th birthday with Wissam. Many family & friends wish her happy birthday on social medias including Latoya and her niece Paris. -June 02 : New pics of Janet appear on line from a photoshoot for an upcoming cover story of Emeriates Woman magazine. -June 13 : Janet shares the behind the scene video of her photoshoot for Emirates Woman magazine on her You Tube page. -June 14 : Janet shares a fan made video of “Shoulda Known Better” in tribute to the Orlando mass shooting in a gay club. Jermaine Jackson‘s wife is filing to divorce him and predictably … she says the trouble started the day she got busted for attacking him. Halima Rashid filed the divorce petition on Tuesday, citing irreconcilable differences, and listing November 28, 2015 as the date of separation. If that date sounds familiar it’s because TMZ broke the story … Halima was arrested for felony corporal injury that day. During a fight on Thanksgiving weekend, Jermaine allegedly spit on her and she allegedly bit him on the leg. Halima is seeking spousal support. They got married in 2004, but don’t have any kids together … so no child support issues. She was wife #3 for Jermaine. Her domestic violence case was tossed because prosecutors couldn’t determine who was the aggressor in the fig. -July 07 : Janet shares another fan made video of “Shoulda Known Better” in tribute to the “Black Lives Matter” movement. -July 28 : Janet is spotted with Wissam in L.A for the first time since announcing they’re expecting their first child. August 11 : Rebbie and her daughters Yashi & Stacee are presented with the SAMHSA Special Recognition Award in Los Angeles. August 13 : Prince, Bigi, TJ, Royal & their cousins visit Joe at his Vegas home. August 14 : Anthony “James” Jackson II, has filed bombshell new court documents insisting that the singer’s will is invalid and executors have iced him out. “I should have been receiving Decedent’s Michael Jackson’s intended inheritance for me. I request that I immediately receive [it],” he writes in the court documents, “and for them to be retroactive” from the singer’s death date, June 25, 2009. In the 128-page filing, Anthony lays out a complicated argument for why he has been denied what he says is rightfully his. Simply put, he claims that the will is invalid, and there is a major “conspiracy” in place. It’s not the first time that Anthony has faced off against the Jackson family in court. In December 2013, he petitioned for guardianship of Paris, Prince, and Blanket, but was denied. -August 28 : Gil visits Janet at her Malibu home and they watch the VMA’S together. -August 31 : Gil & Whyley visit Janet at her Malibu home. Paris Jackson‘s alone and in charge … living in the back guesthouse at Michael‘s old Encino mansion. Sources close to the family tell TMZ … Paris had been itching to cut the cord from living with her grandmother in Calabasas … where Blanket and several of her cousins also live. We’re told the family had security concerns about her living just anywhere, so it was suggested she use MJ’s old compound. Michael’s estate controls all of his properties, meaning … technically, Paris needed permission to live there. We’re told she went to them, and pointed out she basically owns the crib as part of her trust — and the estate didn’t fight her. As for why she’s in the guesthouse — the main house is being remodeled. We’re also told Paris is living there completely on her own. She and bf Michael Snoddy recently posted pics from the backyard — he comes and goes, but does NOT live there. -September 10 : Preston visits Janet at her Malibu home for a photoshoot. -September 17 : La Toya attends the annual Summer Spectacular to benefit the Brent Shapiro Foundation for alcohol and drug prevention in Beverly Hills, California. -September 27 : Janet is spotted shopping in London with Joey. The day after the first pics of Janet being pregnant appear on line. -October 02 : On the 1st anniversary of the “Unbreakable” album Jimmy Jam gives an interview to the Kelly Alexander Show and says that Janet wants to finish the tour and will be back when she is physically and mentally ready. -October 12 : Janet officially announces her pregnancy in a short statement to People magazine and she shares the first official picture of her baby bump. Gil, Preston & Janet Zeintoun share the picture on social medias. -October 19 : Janet is spotted at a flower shop near Regent’s Park in North London. -October 20 : Janet & Wissam are spotted shopping together in London. -October 29 : Katherine, LaToya, Prince, Paris, Bigi, 3T, Austin, Alejandra & her kids attend the second annual Jackson Halloween Party at Hayvenhurst. -November 03 : The Los Angeles Times publishes an exclusive interview + photoshoot of Prince Jackson at Hayvenhurst. -November 15 : Janet is spotted in London. -November 19 : “Hey you guys.. It’s been awhile.. but I’m still listening.. I feel your love and prayers.. Thank you.. and I’m doing well.. Al Hamdu lilac”. -November 22 : Paris & her boyfriend attend Austin’s 31th birthday in Malibu. December 11 : Katherine, Rebbie, Yashi, Stacee, Paris, Autumn & Latoya attend Asa Soltan Rahman’s baby shower with Brenda Richie et Hazel Gordy. Jermaine Jr is also present. -December 18 : Prince, Bigi, Omer, Shaista (and her kids), Donte, Randy Jr, Jaafar, Jermajesty, TJ, Frances, Lexci, Royal, Dee Dee, Jojo & Rio fly to Hawaii. -December 19 : Paris & Genevieve join the gang in Hawaii with their boyfriends. -December 24/25 : Prince, Paris, Bigi, Omer, TJ and the gang spend Christmas together at the Aulani Disney Resort & Spa in Kapolei on the Hawaiian island of Oahu. -December 31 : Prince spends New Year’s eve with Omer in L.A while Paris goes to New Jersey with her boyfriend to visit the Cascios.